This is a familiar face. 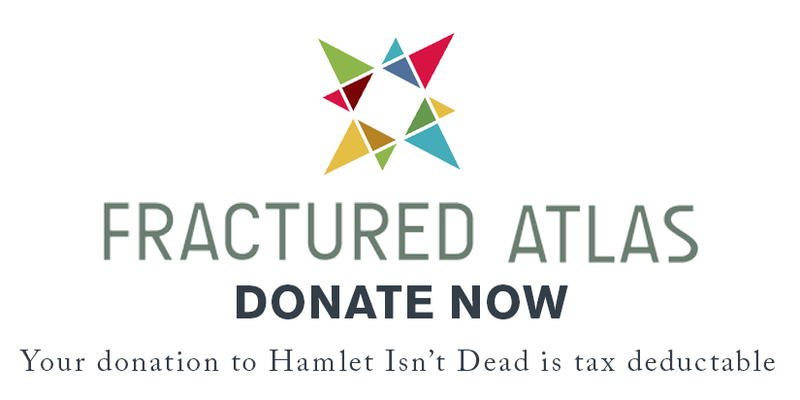 And of all the faces involved with Hamlet Isn't Dead, you're welcome in advance that we brought this one back. It's also a bit of a chronological inconsistency since in Henry VI this looker played the titular king, and in Richard III he ends up (spoiler) as Henry VII. It's complicated. So from the mouth of babes (i.e. Rivers, Clarence, and Richmond), here's a little segment about the mighty Morgan Hooper. HID: Let’s keep everyone on the same track here. What’s your favorite color? And what is the favorite color of each of the characters you play? MH: My favorite color has always been red. For my characters: Clarence is kind of a dark lost soul, so I see him in somber tones like black and grey; Rivers has a little more flash, he wants to be noticed, and he likes greens and silver; and Richmond I imagine in sky or royal blue. HID: As has been mentioned, you play several different characters over the course of the show. How do you keep them separated in your actor brain? MH: The other day, I realized how much Shakespeare differentiates his characters based on their style of language .I suppose this obvious, but it struck me in a new way since I'm playing several parts over the course of the story. Shakespeare's variation is evident, for instance, in the difference between characters of high and low status. Or consider the way Shakespeare's lovers speak as opposed to his clowns. With my characters, I notice the difference in the rhythms and imagery. Clarence has kind of an archaic, formal speech (all the methoughts and methinks) and his guilt comes out in his haunted retelling of the underworld. Rivers contempt for the other court members comes out in his long drawn out style of address; and Richmond's language is exuberant an full of God imagery. Every other line he says refers to God. So, I guess it's true: Shakespeare really does give you all the clues you need. HID: We couldn’t agree more. You also choreographed the final fight between Richard III and Richmond. Given an infinite amount of time and budget, would you have done it any differently? Maybe, Morgan... Maybe.... It's either that or Richard III in space, where the York are tentacled space Nazis, and the Lancaster are fierce duck-like aliens from a planet made of bubble gum. Let us know in the comments below which you'd prefer.